Queen Elizabeth II had a rubber ducky with a crown in her bathroom. After this was reported, rubber ducky sales soared for a time. Sesame Street popularized the rubber ducky with the above song and associated the rubber ducky with children and bath time. 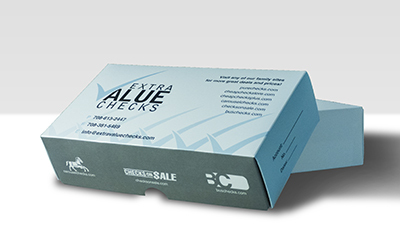 Be Different Personal Checks are available in single and duplicate check format. Matching address labels and a coordinating checkbook cover are also available.